Hello to all the Scientists out there! I hope that you all had a wonderful Holiday season and an even better start to the New Year. 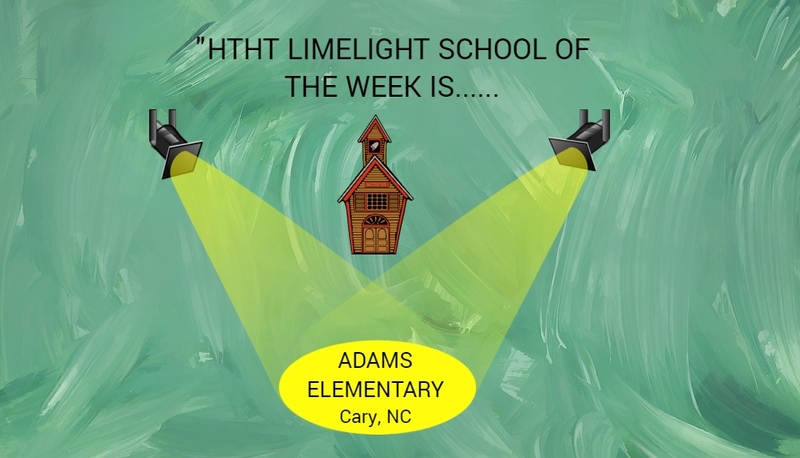 The New Year means it’s time for new adventures so at High Touch High Tech, we will begin the year with a new blog called Limelight School of the Week. This week’s Limelight School is none other than Adam’s Elementary. I would like to thank the 5th graders at the school for being so patient as they had to wait several months in order to coordinate schedules to make up classes due to Hurricanes towards the end of last year. The wait was worth it as the children and I had a blast talking about our lesson: Meteorology Madness!!! One of my favorite aspect of this job is seeing a group of children for the first time. As I began my day with these children I asked a lot of questions, at first only two or three hands are raised in response, but after only about 10 minutes the children become so excited and so many hands are raised that it is difficult choose who to call on. Especially when we started talking about hurricane’s! Since most of the children had experienced a mild hurricane a few months ago, it was nice for them to tell stories about what happened where they lived and how they thought the hurricane was formed, what kept the hurricane moving and why did the hurricane cause damage. They were also able to get up-close & with hands-on look at changing conditions while experimenting with tornadoes, hurricanes, thunder, and lightning! During one of our experiments that focuses on weather patterns, the children are taking turns in groups and suddenly I hear, “I Love this Class!! !” I don’t know if I can put into words the feeling I get when I am at a school and see and hear how much fun every child is having learning about and performing science experiments and putting what we learn into practice.